Imagine a carpenter who doesn’t know that a hammer exists. Crazy, right? I mean, downright insane. 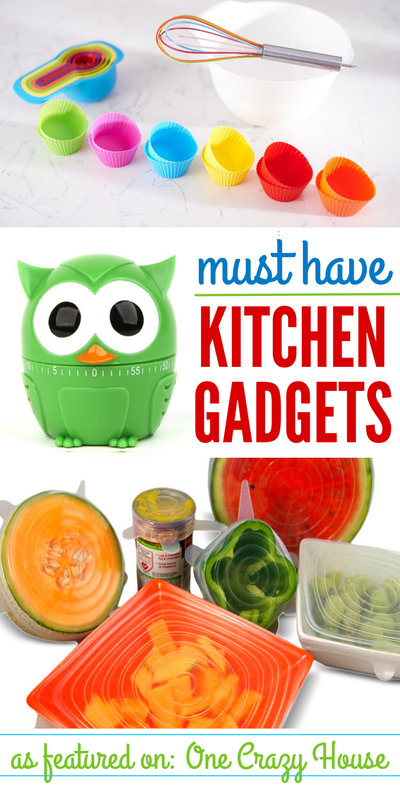 Okay, now imagine you, Chef Mom, doing way too many kitchen tasks the hard way because you simply didn’t know that all these useful kitchen gadgets existed. 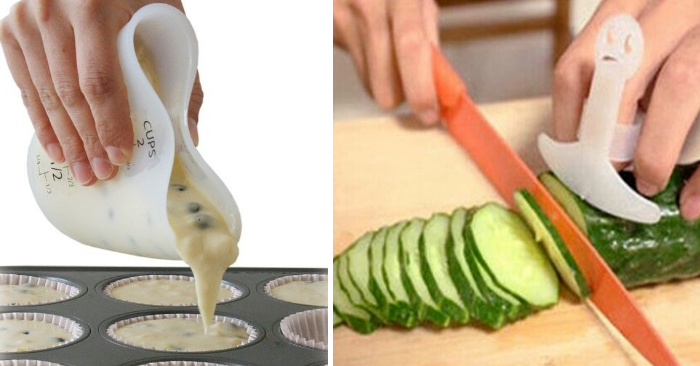 That might be reality for you right now, but not after you read about all of these kitchen gadgets that make it all easier. If your kitchen is feeling blah and boring, brighten it up with this fun rainbow baking set! Do you find that you need to cover lots of oddly shaped food objects? Stretchable lids to the rescue! Cover your watermelon, that open can, that tupperware bowl whose original top somehow vanished! Bet your kids will go back for a second helping of soup with this Nessie ladle doing the scooping! Are you sick of how much room a banana hanger takes up on the countertop? Get a banana hanger for under your cabinet! STOP the dirty-stove madness with these brilliant stove range protectors! 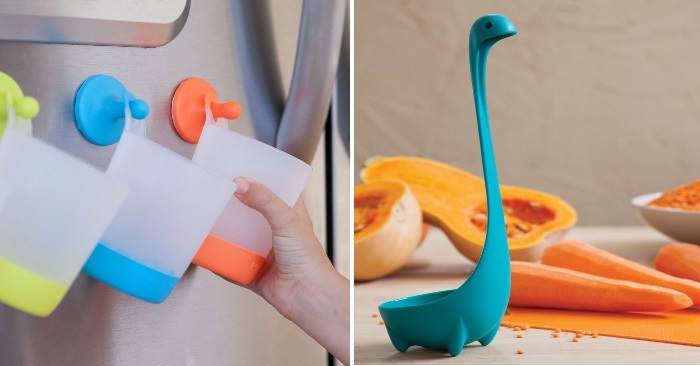 These make it so much easier to clean up after messy meal-making. Are your kids as obsessed with ice pops as mine are? 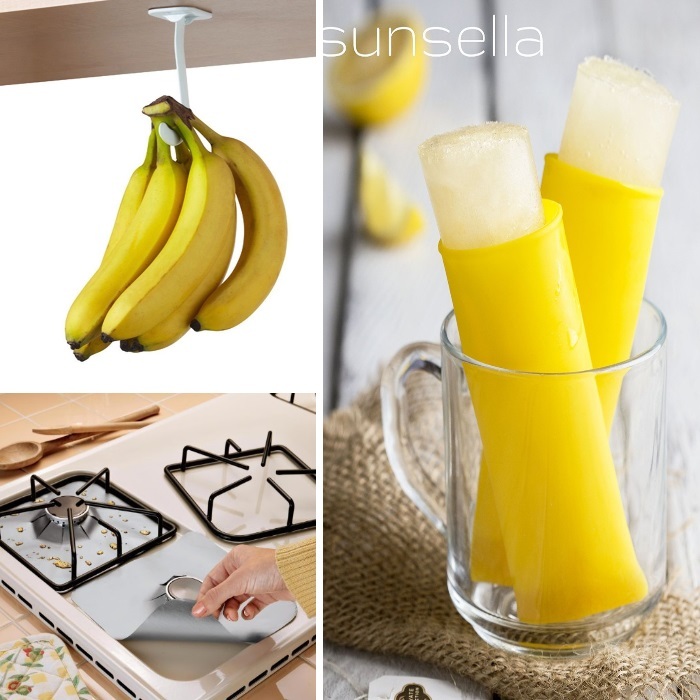 Make your own healthier version with these ice pop molds! You haven’t been baking chicken right if you’ve never used a non-stick healthy baking mat. 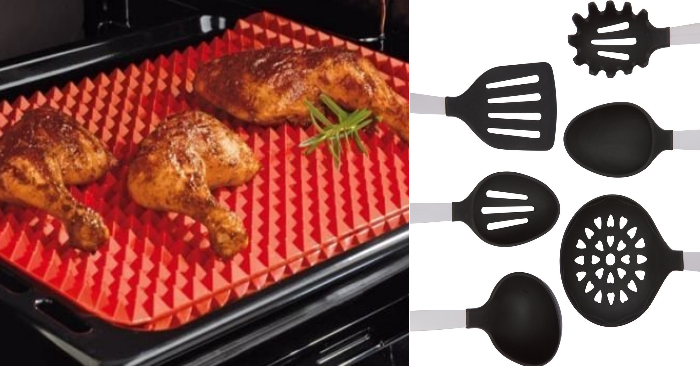 It distributes heat evenly, drains grease away, and makes for easy clean-up! We love this spatula set at our house! The comfort grip paired with the silicone heads make for optimal use. And this set comes with ALL of the essentials! 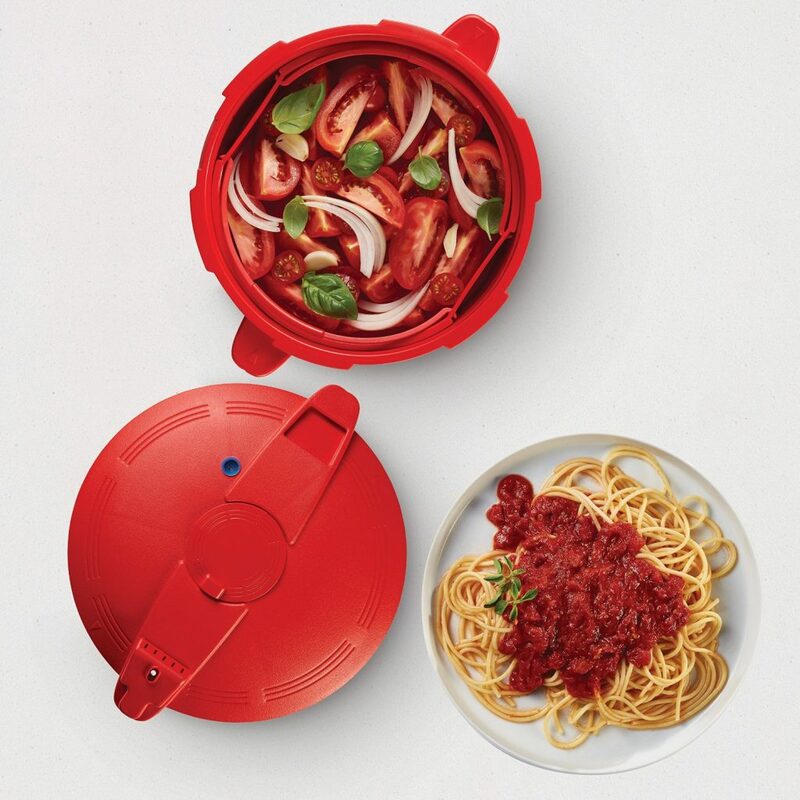 Have you ever wanted to try the magic of pressure cooking? Now you can pressure cook right your microwave. Steam, stew, braise and more, yum! How many times have you been baking and you needed a flex measuring cup to pour a precise amount batter just right? Never run the risk of cutting your finger with this anti-knife guard. This would be a great idea for kids who like to help in the kitchen! Why dirty up a big strainer when the pot you boiled your food in will do just fine? Attach this pour pot strainer to your pot and voila! 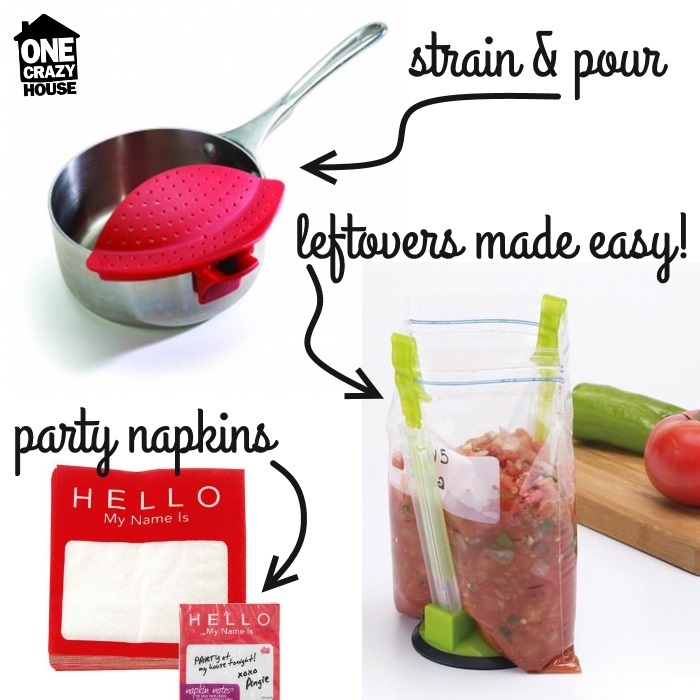 Keep your leftovers fresh longer! 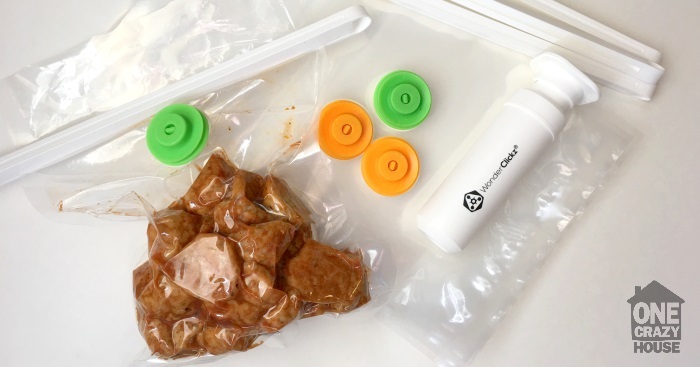 Vacuum seal your food! Trust us. Your leftovers will taste amazing with this hack! Having a party? These hello name tag napkins would be great conversation starters! If you’ve ever stocked your freezer for the winter with freshly chopped summer produce, you KNOW how frustrating it is to fill those DOZENS of Ziploc bags by yourself. Enter stage right: your new best friend–the BAGGIE HOLDER! Wouldn’t life have been better if you woke up with all of this ready on your nightstand? (A mom can dream, can’t she??) 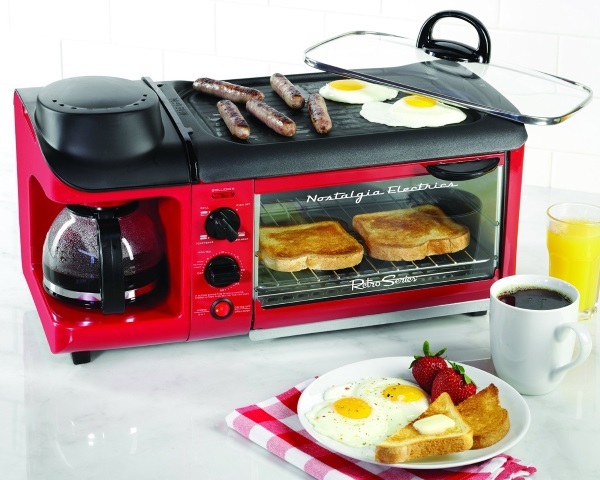 You can get a little closer to realizing that dream by getting this breakfast station in your house! 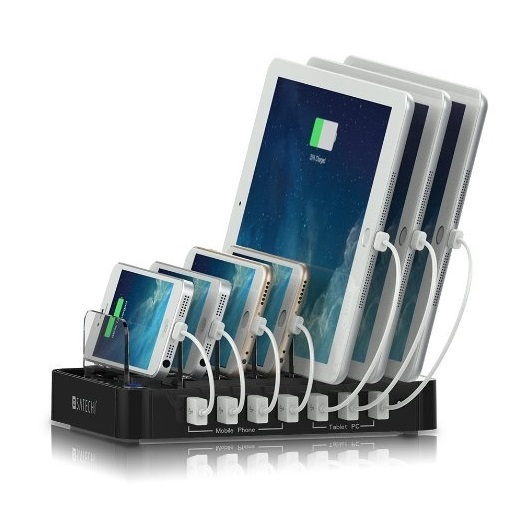 Remind your family (and yourself) to unplug for dinner and plug into good conversation with this charging station! 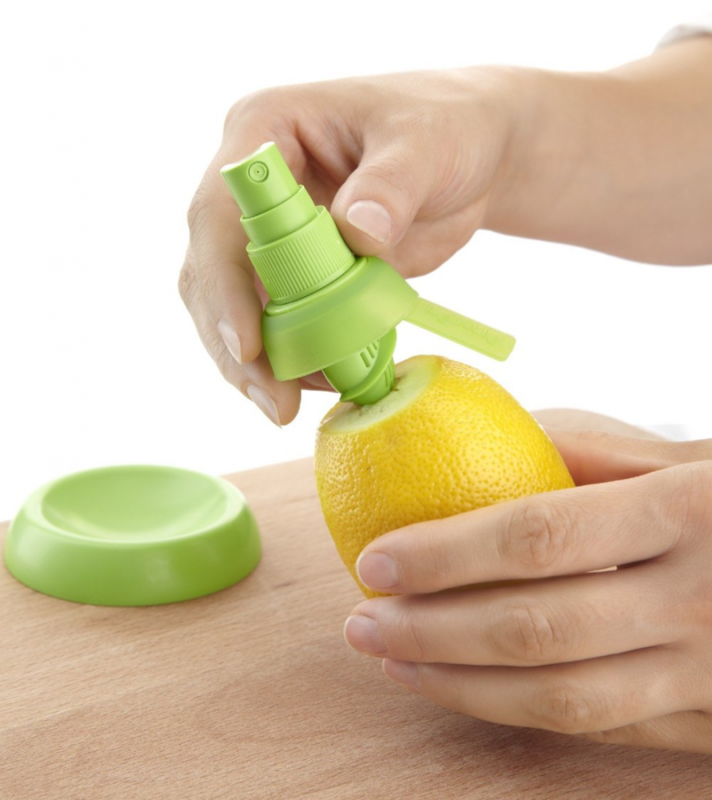 This lemon juice sprayer is genius! You cannot get lemon juice any fresher than this! Add some flavor to food or use it for natural cleaning! Busy oven days HAPPEN. When e v e r y thing needs to get into the heat and you only have so much time. 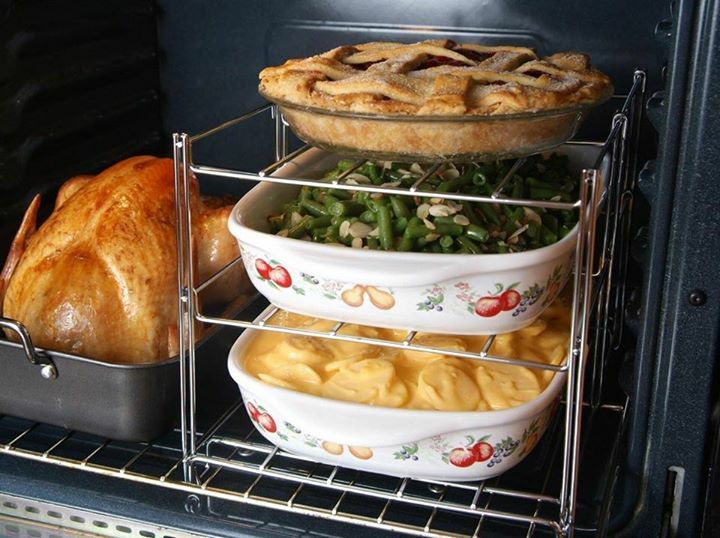 Solve this problem before your next big feast with this three-tier oven rack! 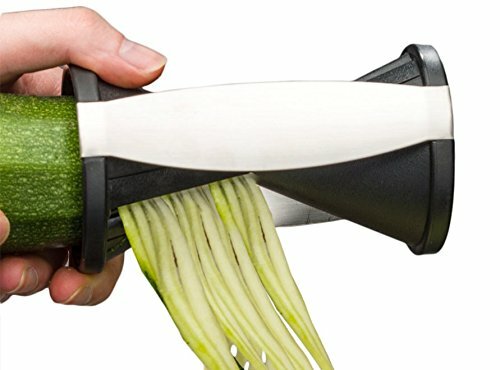 Sub zucchini for your spaghetti with this vegetti maker. What a fun way to eat healthy! This cutlery cleaner is BRILLIANT. And I could totally see it making the perfect after dinner chore for one of the younger kids! Easy and effective. Know a cat-lover? They probably need this kitchen timer. If hot dogs are a regular staple at your house, then this hot dog roaster is worth its weight in gold! Easy for the always-hungry-older-kids to make a quick meal for themselves too!